Born and raised in Beckenham, Matt Bryden is an EFL teacher whose work has taken him to Tuscany, the Czech Republic and Poland. His poems have appeared in New Welsh Review, The Reader and The Warwick Review among others. 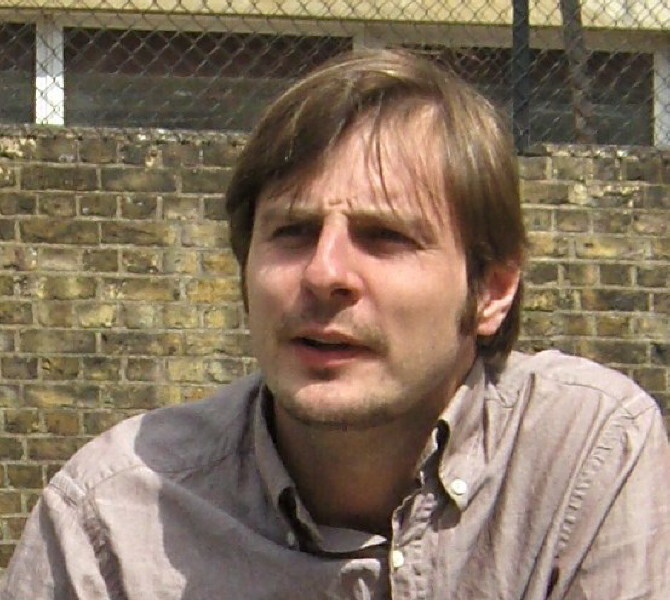 His pamphlet, Night Porter, was one of the winners of the Templar pamphlet competition 2010, and will be published in November. Boxing the Compass, his first full collection, follows in 2011, also with Templar. A new face at half six. when he came through the doors. of when he was £10,000 in the black. and stacked at the side of the road. In the morning, the streets are clear. approximate sky; hats are worn. through a system of hydro-electric mills. making it impossible for insects to fly. Butterflies and moths move entirely on land. are allocated; their etiquette is pronounced. as the rows of empty ropes in the schools’ unused gyms. blown into movement by air currents. water itself does not flow. can chap the skin of an ungloved hand beneath. The streets empty, the city is art. a cricket’s fibrillation in a sound-box, from below. how tough it is to be that quiet. her sister across the hall. dropping below a bruised shoulder. turning her chair onto the table, and laughs. First published in Smiths Knoll. or jam, to my bed each morning? and which are ripe by sight. and wipe my dreams like a slate. First published in The Warwick Review. we see each other just by looking down. evenings, the lift pulley sounds in your bricks. I rise, shower an alertness and am gone. Always the promise of closeness. I talk until I realise I don’t have to. Rock until our legs fall in place. First published in Orange Coast Review. and familiarity with his name in the Embassy final. of your recent breakup didn’t register. it was almost gone, it had to go. ‘Can you put our pocket back please, Jon,’ cracked the emcee. from their place in the hard seats. And you were on the black now. you wiped your blade at twenty-six. Jimmy didn’t give you another sniff. on the way back up to your seat. It rankled not to get back in the game. And that, Jon, was the mending of you. First published in New Welsh Review. Visit Matt’s Templar Poetry page. 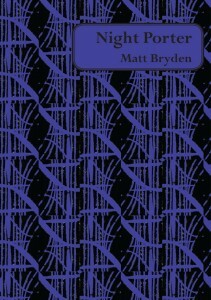 This entry was posted in poetry and tagged Matt Bryden poems, Matt Bryden poet, Matt Bryden's George, Matt Bryden's Handicap, Matt Bryden's If People Think, Matt Bryden's Night Porter, Matt Bryden's Over There, Matt Bryden's Should the People But Come Above Ground, Matt Bryden's The Night Sky, Templar Poetry on 24/09/2010 by peony moon.